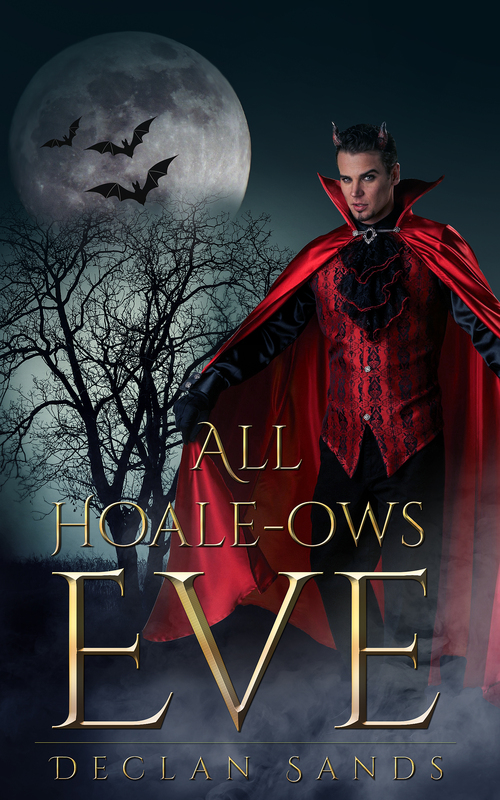 Adam and the gang are just out for a fun night of trick or treating when a dirty devil plows into Mink and leaves a surprise in his candy bag. Next thing they know, Mink’s in jail and they’re hunting for an international jewel thief named Monkey. Will the trail of tricks end in treats for everyone involved? Or will they all end up with egg on their faces and TP on their shoes? There’s only one way to find out! Mink stumbled over his cape and nearly pitched face first into a water-filled ditch at the side of the road. Clinking like the tin man, Delf grabbed hold of Mink’s pitchfork and kept him almost upright. His overflowing bag of candy tipped dangerously, causing Mink to shriek in a decidedly unmanly way. The giant, red-haired knight of the round, or square, table, Adam wasn’t entirely sure, lifted a creaky arm and shoved the hunk of metal covering his handsome face upward. “You’re lucky if I can find your ballast wearing this outfit,” he groused. Delf’s armor shimmied and Adam decided he was either having a seizure or he was laughing. There was no way to know for sure because his handsome mug was completely obscured by metal. The sidewalks were full ahead of them and some of the celebrants were getting a little rowdy. The crowd shifted suddenly, somebody giving a little scream as they were shoved aside. “Hey, you poked me with that thing!” a woman shouted. A wiry figure dressed all in red shoved free of the crowd, running down the street right at them. He kept looking over his shoulder as more shouts rose up behind him. “What’s going on?” Maddy asked. The devil running toward them looked enough like Mink that Maddy and Adam both turned to make sure he was still behind them. Mink opened his mouth to respond just as the devil runner stepped off the sidewalk and seemed to stumble, pitching forward and slamming into Mink. The two devils went down in a pile of horns and pitchforks and there was some unattractive rolling around and grunting. Delf was concerned enough to tug off his helmet. “Hey, watch out.” He reached an enormous paw toward the topmost devil and hesitated. It was nearly impossible to tell which one was Mink. The guy nodded, sending a quick look over his shoulder. “Look what you did to my candy!” Mink was scrambling around picking up candy from the wet, dirty street. “It’s gonna be ruined!” he whined. The invading devil dropped the last handful of candy into the bag and pressed it toward Mink, pushing to his feet. “I gotta go. Sorry about the mishap.” He took off running, disappearing into an alley just as four guys in suits with guns drawn shoved free of the melee in front of the bar and pounded toward them. The big guys pushed Delf aside and he stumbled backward, sounding like a tin roof in a hail storm. One of the men tackled Mink to the ground, clamping cuffs on him before Adam’s parrot could shriek, “Avast ye, maties” into the chilly night.